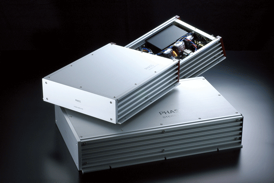 HLC-01 is a high end hi-low signal convertor, which achieves optimal signal transmission by converting the speaker output signal from a head unit or another power amplifier into pure RCA signal, and then transmits it to the RCA input of the power amplifier (-10dB) without any distortion or other disturbances. If the head unit is equipped with a BTL constituted power amplifier, the RCA signal converted by the HLC-01 will be transmitted as a balance line signal to the power amplifier. There are 2 different input types BLD drivers available, one is for speaker output input, another one is for RCA input. Further there are two transformer types and one amplifier type in RCA input types. For its transformer a high end grade one is used for high quality signal transmission far beyond the grade of car audio. And the amplifier type used also high end grade electric parts on its precise PCB can realize optimal signal converting and transmission. BLD-T451 is a very unique products for combining a source unit with RE 2 or RE 2.65 amplifier for the balance signal transmission in the car. It can directly convert the speaker out put signal into the balance line signal without using Hi-low convertor. Now when it has been impossible to convert a original head unit to another audio source unit for upgrading, BLD-T451 can easily accomplish the optimal sound circumstances without any distorsions and noises. BLD-A2142 is a high end balance line driver with a precision amplifier. It converts an RCA to the Balance line. Output balance signal can be transmitted through long distant cable without any distortions and noises. As the output terminal D-sub female connector is used on the end of balance line cable, and it can be inserted into the D-sub socket on the RE amplifier easily. BLD-A2142 surely realizes the optimal signal transmission in the car inferior circumstances. Note; BLD can be combined with only RE 2 and RE 2.65 which have the balance line input. BLD-T601 & T103 are high end balance line drivers with originally developed transformers. They convert an RCA line level signal to a balanced line level signal, able to be transmitted over long distances without any distortions, noises or signal loss. As the ouput terminal D-sub female connector is used on the end of balanced line cable. It can be easily inserted into the D-sub socket on the amplifier. 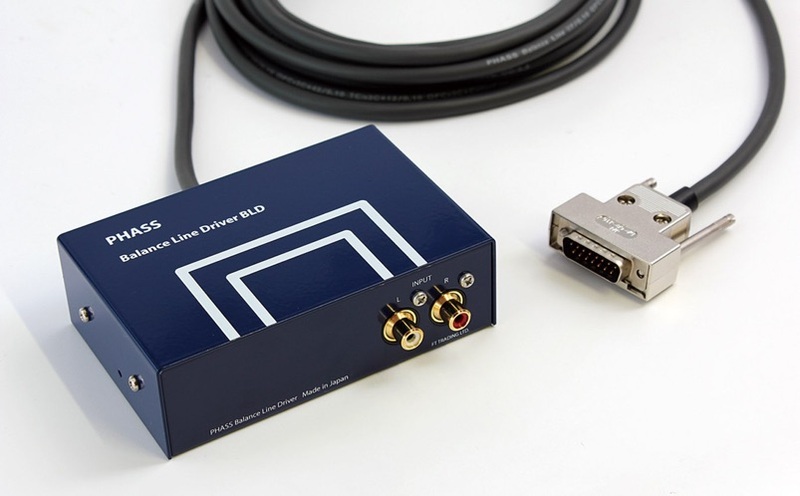 BLD-T601 and T103 ensure the original audio signal is optimally transmitted to power amplifiers in the car. Note; BLD-T601 can be used only with RE 2, T103 can be used only with RE 2.65 balanced line amplifiers.